The recent speech of Commission on Human Rights (CHR) chairperson Jose Luis Martin "Chito" Gascon against the administration of President Rodrigo Roa Duterte at the Oslo Freedom Forum in New York garnered criticisms and surfaced different reactions on social media. Gascon, which seems to be politically aligned with the opposition, talks about the Democratic Deficits in President Rodrigo Duterte's DrugWar at the forum. As how Oslo Freedom Forum website described Gascon, he is critical of the EJK and other human rights violations resulting from the Duterte government’s so-called campaign against illegal drgs and he has demanded that perpetrators be held accountable. 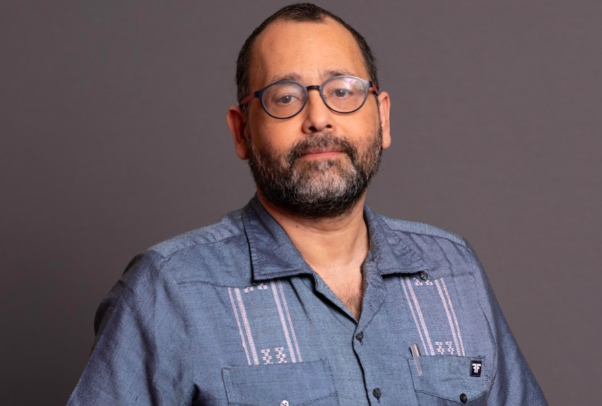 To some, Gascon's speech is an act of betrayal to the Filipino people who majority supports President Duterte and believes his current administration. Thus, as the CHR chairperson humiliated and blast the image of the Philippines before the International Community, a Polytechnic University of the Philippines (PUP) alumna wrote a very striking and significant open letter addressed to the Foreign Media, Chito Gascon and the Liberal Party. To the foreign audience, please consider why more Filipinos support and love Duterte while less and less are supporting people like this OSLO guest speaker Chito Gascon and his political party. Duterte is fulfilling his campaign promise for which the Filipino people voted him for. Duterte made our streets safer. It may not be ideally safe but is relatively safer than when Chito Gascon and his party reigns our politics. Ms. Jovie Morata also pinpointed that the PH's campaign against illegal drgs is not perfect but amidst it’s imperfections it made majority of Filipino feel safer than before. According to her, courts are also hearing complaints from families of narcos who fought the police and were slayed. Chito Gascon’s Party and their allies, the Philippines’ Oligarchs are at the offensive ever since. 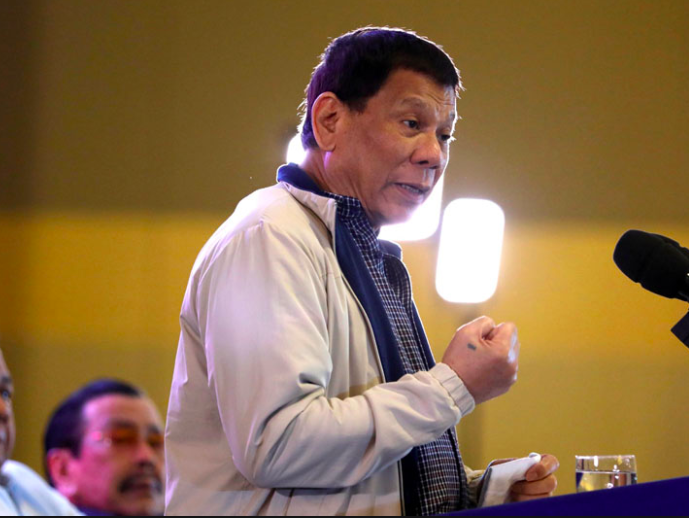 Duterte from the start refused to accept campaign donations from the Philippines’ dirtiest oligarchs. These oligarchs do not pay the right taxes, occupy government properties with government contracts very disadvantageous to the public and etc. Duterte made the oligarchs pay taxes and challenges their disadvantageous contracts at the courts! Our internal revenue taxes and customs collections are higher and effective than before, a lot of shady businessmen are hurting.Families of these oligarchs run giant media conglomerates and they are those attacking Duterte incessantly even before the start of the last presidential election. Chito Gascon’s party mates are rocked with corruption and scandals left and right. Our current vice-president Leni Robredo, Chito Gascon party’s highest elected officer, is steadily loosing in a vote recount protest. Leila De Lima, another Gascon party mate is in jail by legal order of a legitimate court. This De Lima was the former DOJ Secretary who ordered warrantless arrest and illegally detained an old and sickly political opponent. No less than our Supreme Court declared De Lima’s actions illegal. 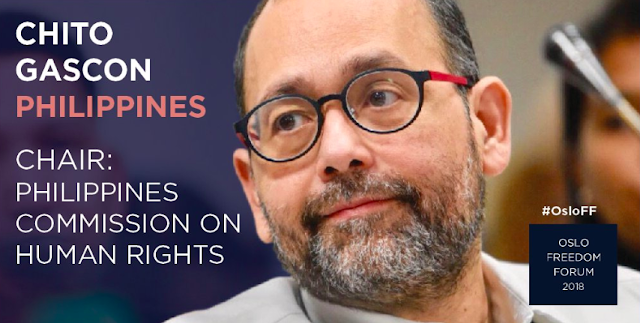 Amidst all these human rights violations Gascon did not blink an eye. De Lima’s lover, married driver, admitted in a congressional investigation accepting 2 Million cash from her for the construction of his house. All the Filipino people get from De Lima is her admission of her illicit affair to her married driver as just a frailty of a woman but no apologies whatsoever.